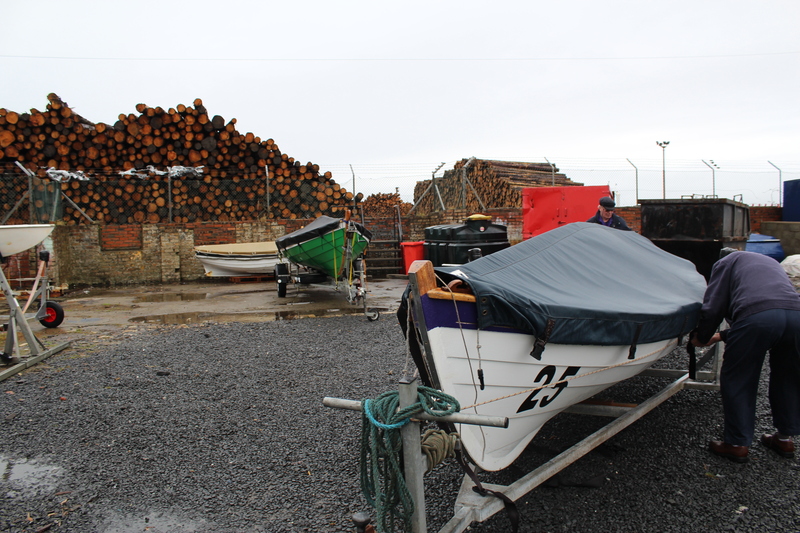 Despite very strong winds and rain,too strong for rowing,a good turnout to get Marr Voyager from launch to road trailer in readiness for refurbishment at Irvine Maritime Museum workshop Monday morning. Volunteers welcome from 8.30 am and or any other mornings for the next two weeks. In the background can be seen The Pride of Preswick ,Prestwick clubs skiff ,who are with us for the next few weeks.Hopefully the winds will diminish enough soon for some rowing.